Pleasanton, CA — February, 1 2019 — NextHome is proud to announce our newest addition to the franchise, NextHome CREA Real Estate. The brokerage represents the 64th office location opened in the state of California for the NextHome franchise. The brokerage will be led by broker/owner Sal Torres and he will handle all day-to-day operations for the company. Located in Ontario, the team at NextHome CREA Real Estate will handle all types of residential property sales such as first-time home buyers, investors, farms, ranches and land, veteran’s assistance buyers, relocation, foreclosures, short sales, and all forms of residential sales of 1-4 units. The brokerage will serve the needs of both English and Spanish speaking clients. NextHome CREA Real Estate will service various areas throughout Southern California including the cities of Ontario, Rancho Cucamonga, Fontana, Chino, Chino Hills, Upland, Claremont, and the remainder of the San Gabriel Valley and the Inland Empire Region. Licensed since 2000, Sal started his real estate career at a local independent boutique brokerage as an agent, but quickly moved into management. In the four years that he was there, he grew the company to 20 agents while still personally selling more than 30 transactions annually. In 2004, Sal opened his own brokerage, Realty Professional. He described the experience of running his own company as a valuable learning lesson in upping his skills in negotiation, problem-solving, and working with various personalities. Additionally, Sal also purchased 13 homes for his personal portfolio for rental properties. In 2012, Sal converted his brokerage into CREA Realty Inc. The purpose of the rebrand of the brokerage was to create a company that was a community resource that residents could count on for solid real estate advice. The company grew to 42 agents and was becoming well known for helping residents throughout the Inland Empire Region. Whether it was assisting with loan modifications, avoiding foreclosure, or helping list and sell their home via short sale, Sal and his team provided a valuable resource to homeowners who were looking for help. In 2018, Sal found the NextHome franchise via REALTOR® Magazine and started researching the company. When not selling real estate, it’s all about family for Sal. He and his wife of 20 years, Desiree, have three children – daughters Odyssey (age 19), Heidi (13) and son Noah (7). The Torres’ will be welcoming a grandchild in March of this year. Desiree is also a REALTOR® and will be working along Sal in growing NextHome CREA Real Estate. Please join us in congratulating Sal and the rest of the team at NextHome CREA Real Estate on their new NextHome office in Ontario, CA! The total value of the U.S. housing market rose $1.9 trillion in 2018 to $33.3 trillion. A third of the market’s $10.9 trillion gain since its housing-bust low in 2012 has come from California. The New York metro area’s $3 trillion in value makes it the most valuable market in the country, representing 9.1 percent of the country’s total value. The value of the U.S. housing market continues to climb, gaining 6.2 percent in 2018 to reach a total value of $33.3 trillion. That’s up $10.9 billion from the bottom of the market in 2012 – and a third of the gain has come in California. The Golden State’s value has climbed $3.7 trillion since February 2012, the nation’s housing-crash low. No other state has gained more than $1 trillion in that same span. The total value of all homes in the New York metro is the highest among metros analyzed, at $3 trillion – on its own accounting for 9.1 percent of the country’s total housing value. Four of the country’s 10 most valuable markets are in California: Los Angeles, which rose 5.2 percent to $2.9 trillion; San Francisco, up 9.3 percent to $1.6 trillion; San Jose, which gained 10.4 percent to $799.6 billion and San Diego, up 3.4 percent to $673.5 billion. The housing stock in some pricey metro areas is so valuable, in fact, that the total value in one market often eclipses that of all housing in an entire state. For example, all homes in the Washington, D.C. metro are worth a combined $892 billion – which is more than the values of all homes in 40 individual states, including Colorado ($833.8 billion), Arizona ($708.1 billion), Ohio ($695 billion) and Oregon ($451.8 billion). These numbers are so gargantuan that it’s tricky to put them in perspective. For example, even the total cinematic earnings from top 10 highest-grossing movies of all time – including Avatar, Titanic, three Avengers movies, Black Panther and Harry Potter and the Deathly Hallows – total $17.9 billion, a drop in the housing market bucket. And Amazon CEO Jeff Bezos’ net worth of $160 billion is still only about half Detroit’s $314.9 billion housing value. Better comparisons come from the gross domestic products of entire nations. The U.S. total housing value of $33.3 trillion is equivalent to the combined GDPs of the United States ($19.4 trillion), China ($12.2 trillion) and Canada ($1.7 trillion). Even individual metros dwarf entire countries’ economies. For more helpful tips, visit the Zillow blog. Read a wide variety of different forecasts and opinions from financial and real estate experts from different parts of the country. In addition to trade publications and online sources, listen to podcasts, radio programs, and watch financial news programs. Then, draw your own conclusions based on what you’ve seen and heard so that you can answer questions and give informed opinions when clients turn to you for expert advice about what’s ahead. Be sure to make copies of any articles that you find particularly interesting to share with clients and colleagues, or save the links to pass along. This is an ideal time to network and to hear speakers address predictions and projections for 2019. Local and national industry and association meetings, conventions, and seminars can provide valuable market information as well as provide opportunities for question-and-answer sessions and the exchange of ideas. Make time to attend as many events as your calendar and schedule can accommodate. Now is a good time to meet with your partners in the mortgage and banking sectors to find out what they see happening in the coming year. They may also be able to provide information about any changes to the mortgage application or approval process that could affect your clients and closing timeframes. Sending a brief, informal survey to your clients by mail or by email is a good way to gauge their real estate market outlook as well as whether they have plans to buy or sell a home in 2019. A survey also provides you with a touch point for helping to maintain client relationships. In addition, it gives clients the opportunity to ask you questions about the market in your area. Whatever is in store for real estate market trends, one thing that is for certain in 2019 is that technology will continue to play an important role. Update your cell phone, computer, tablet, or any other outdated technology so that you can have the tools you need to succeed next year. Sometimes it takes a village to sell a home, and the relationships you have with provider partners can be crucial in closing transactions. Review your provider network and touch base with any partners you haven’t worked with in a while. In addition to a mortgage broker or lender, it’s a good idea to have established relationships with a home inspector, a home warranty provider, an appraiser, a pest control professional, a home stager, and movers. Clients may also ask you for other referrals, including roofers, pool inspectors, home stagers, movers, painters, and other services. To be prepared for whatever the 2019 real estate market brings, look for ways to add value to the service you provide to your real estate clients. For example, adding an American Home Shield® Home Warranty to each transaction is a great way to reassure buyers and sellers, build client loyalty, and help deals close smoothly. Make sure your clients know that while markets may fluctuate, the caliber of service you deliver never will. To learn more about an American Home Shield Home Warranty and how it can help protect your client’s budgets, contact your local Account Executive. Pleasanton, CA — November 1, 2018 — NextHome is proud to announce our newest addition to the franchise, NextHome Hive Properties. The brokerage represents the 60th location opened in the state of California for the NextHome franchise. Based in Chula Vista, NextHome Hive Properties will be owned by Jose Frausto and will have Nichole Quiroz serve as the Director of Operations for the brokerage. Warren Barrett will be the Broker of Record for the company. The brokerage will provide real estate services such as single family residential sales, first-time home buyers, rehab and resale property listings, investment sales, commercial, luxury purchase and sales, vacation home purchases, and land sales for buyers and sellers for the cities of Chula Vista, La Jolla, Carlsbad, Oceanside, Encinitas, North Park, South Park, Kensington, Point Loma, and the rest of the greater San Diego area. With more than 14 years in real estate, Jose is no stranger to all phases of property development. An experienced house flipper, he started a holding company, Main Group Holdings LLC, in 2016 in order to acquire properties for rehab and resale. After meeting Nichole in 2017, Jose found her to be a perfect fit to run the real estate division of Main Group Holdings LLC. At that time, Nichole was working for a hard money lender who was working on funding of a development project Jose was involved in. 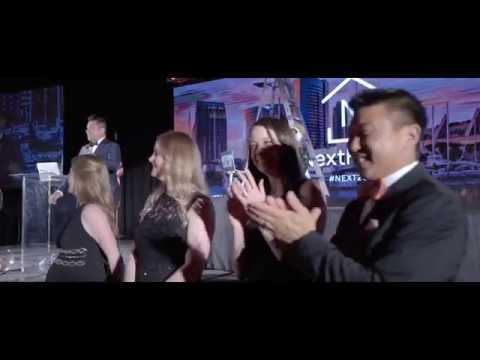 Jose and Nichole say that the NextHome Hive Properties difference is their ability to provide several services a home buyer or home seller would want. Wanting to provide that edge for Nichole and the real estate division, Jose looked into franchising and found NextHome to be the right fit. “By aligning with NextHome, we are now able to leverage a nationwide network of real estate professionals,” said Jose. When not selling real estate, Jose and Nichole each find family to be their real focus. Jose and his wife, Xilma, have been married 15 years. They have two children – Isabella (age 7) and Aaron (4). Jose says his favorite activity is anything that allows him to spend time with the family. You’ll often find them enjoying most Southern California theme parks, specifically Disneyland. Nichole and her husband, Alfonso, have also been married 15 years and the couple have two children – Dylan (age 14) and Nora (12). Nichole is a Certified Holistic Health Coach and helps people achieve optimal health through workout and nutrition. She also volunteers time and efforts in helping with breast cancer research. Please join us in congratulating Jose, Nichole and the rest of the team at NextHome Hive Properties on the opening of their new NextHome office in Chula Vista, CA! Pleasanton, CA — October 19, 2018 — NextHome is proud to announce our newest addition to the franchise, NextHome Brandywine. The brokerage represents the eighth location opened in the state of Pennsylvania for the NextHome franchise. NextHome Brandywine will be owned and operated by business partners Dan Pizzi, Mike Schmidt, Pete O’Brien, and Vince Taliercio. Dan will be the managing partner handling the day-to-day operations for the brokerage. Mike will be in charge of all financials and compliance issues. Pete will be responsible for business development and public relations for the company, while Vince will serve as the broker of record. The brokerage will provide real estate services such as single-family residential sales, first-time home buyers, rehab and resale property listings, investment sales, and land sales for buyers and sellers for the cities of Downingtown, West Chester, Coatesville, Pottstown and the counties of Delaware, Chester, Bucks, Montgomery, and Philadelphia. The relationships formed back in 2004 when Dan and Pete worked together in the telecommunications industry at MCI WorldCom. For three years they worked at the company with Dan as a Project Manager and Pete handling sales. As the market changed with the economic downturn in 2007, Dan pivoted towards home sales with his family’s background in the real estate industry. His cousin owned a Century 21 office, so Dan started selling real estate part time. In 2013, Dan and Pete reunited once again at Communications Test Design Inc. The friends worked together for two years before they were caught in another round of downsizing. “After being part of another round of layoffs, I knew that I was ready to take control of my own destiny and get into real estate full time,” said Dan. From 2016 to 2018, both Pete and Dan worked at Weichert Real Estate. Working their sphere of influence and using sales skills from their previous career, the partners did very well and were two of the better selling REALTORS® in the area. After two years of selling as agents at a brokerage, Dan and Pete were ready to go out on their own and open their real estate company. “We had the opportunity to purchase an existing brokerage, but after exploring all of our options, NextHome was the right fit for our new brokerage,” said Pete. In 2011, Dan met Vince who was looking to open his own office at that time. They stayed in touch over the years. When it came time to open NextHome Brandywine, Dan reached out to have Vince be the broker of record. Please join us in congratulating Dan, Pete, Mike, Vince, and the rest of the team at NextHome Brandywine on the opening of their new NextHome office in Downingtown, PA! Zillow Group: Friend or Foe? When it comes to Zillow Group, there seems to be a lot of fear and anger in our industry and it has been this way since the company launched in 2004. I experienced this first hand while working on the portal side of the business, starting with Realtor.com in 2003 and leaving Trulia in 2014. What I learned during these years has provided me insight into what the consumer needs and demands, as well as the fears of real estate professionals across the country. Fear in business can be dangerous and detrimental. Some of us pull old quotes from Zillow executives and use them today to justify our concerns. Have we never changed course in our business or personal lives? Is it wrong for Zillow to shift direction? If the plan is not working, then perhaps the plan should change but not the goal. One thing is certain: Zillow has never been shy about their goal of giving power to the people when it comes to making the best decision on the single greatest investment of their life. It’s not as complicated as we have made it over the last several decades. Instead of seeing them as a threat, why not look at Zillow Group as a way to learn and adopt what is working? Yes, you could ignore them or pull your data as a way to fight against them. The reality is Zillow Group has captured over two-thirds of the total market share of online real estate shoppers and has more than double the audience of Realtor.com, the official site of the National Association of REALTORS®. We used to pay at least five times more for this kind of reach in print advertising without any guarantees readers would even flip to the real estate section. And don’t even get me started on TV or Super Bowl commercials. NextHome’s leadership team understands that change is inevitable, but transformation is optional. And we choose transformation. We are focused on transforming the franchise model into something fun and desirable; our franchise owners and their offices into a profitable and enticing place to work; and our agents into the most valuable part of the transaction, so there are no objections at closing time when the commission is paid. We are also focused on transforming our relationship with industry partners, such as Zillow Group, so our agents and franchise owners are one of the first to be called upon when our partners want to try something new. Especially if it means we can hold Zillow accountable for providing a service that will need to be successful if they want to get paid. And why shouldn’t they? After all, they are consuming all the financial risk to position themselves as the most visited real estate site in the world. How is it any different than hiring Cartus or paying another broker for a referral, except in this case the referring company is Zillow? Is this a risky move? Of course! But it becomes a shared risk and without risk, there would be no progress. And without progress, we will not transform into the best version of ourselves. Pleasanton, CA — September 12, 2018 — NextHome is proud to announce our newest addition to the franchise, NextHome Findly Estates – Murrieta Branch. The brokerage represents the 58th location opened in California for the NextHome franchise. The company will be owned and operated by longtime real estate broker, Dennis Findly. Joining him on the leadership team as Office Manager will be his daughter, Karah Sullivan. The father/daughter team have been working together in real estate for the past nine years. Based in Murrieta, NextHome Findly Estates will provide real estate services such as single-family residential sales, first-time home buyers, land sales, multi family, short sales, foreclosures, commercial, luxury, new construction, and property management throughout the Temecula Valley. This location represents Findly’s second office opening. He opened his first NextHome brokerage in December 2017. “Everything fell into place this year and it was perfect timing for NextHome Findly Estates to expand into Temecula Valley,” said Findly. Starting his real estate career in 1990, Findly steadily built his business under the Prudential brand for more than 15 years. As a top-producing agent in Riverside County, he created a team to support his increased year-over-year sales. Findly went out on his own in 2006 and opened his brokerage – America’s Alternative Realty. Under Findly’s leadership, the brokerage expanded to nearly 40 agents. In 2008, the recession changed the entire real estate market in Riverside County. Aware of the changes coming, Findly modified his real estate model and focused on foreclosures and short sales. In working with REO companies and banks with foreclosure portfolios, Findly expanded his real estate reach to service listings in the neighboring state of Nevada. Over the course of four years, America’s Alternative Realty sold more than 600 Nevada homes. As an independent broker, Findly wanted to stay cutting edge with technology and service for his clients. After researching his options, Findly came across the NextHome brand and saw what the franchise could bring to his brokerage. When not selling real estate, the father of three is a lifelong musician. Whether it’s writing music, playing instruments, or singing, Findly’s passion for music spans over 30 years. Please join us in congratulating Dennis, Karah and the rest of the team at NextHome Findly Estates on the opening of their brand new NextHome office in Murrieta, CA!